After an extensive review process with government agencies throughout 2018, SMC is confident that the relevant government agencies will approve the final versions of its Blue Hills Extension mining and environmental plans in early 2019. The Ministerial Statement 1071 requires SMC to comply with 51 conditions in its mining and environmental plans. SMC will keep its stakeholders informed of its progress, through updates on this website. SMC would like to thank all those who have supported the proposal to recommence mining at Blue Hills and we look forward to again having a significant presence in the local communities. 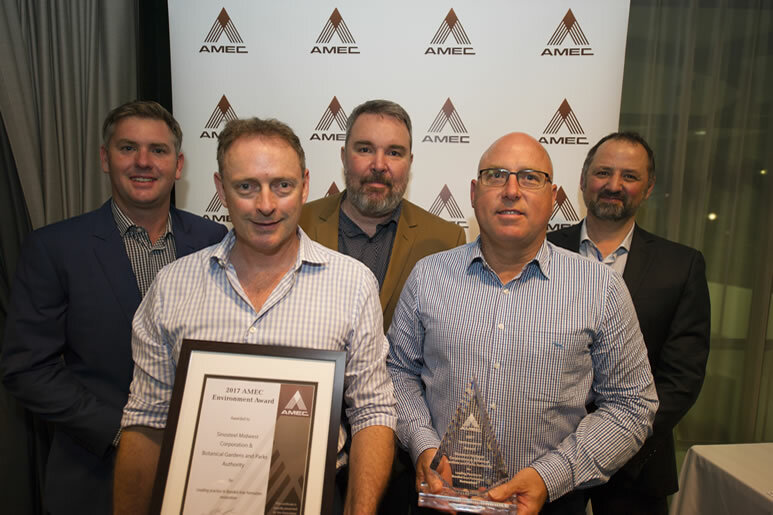 Sinosteel Midwest Corporation in our partnership with the Botanical Gardens and Parks Authority are pleased to announce that we have won the 2017 AMEC Environment Award for our work in Banded Iron Formation Restoration Project. The award is recognition of a 7 year research partnership between Kings Park Science (Botanic Gardens and Parks Authority) and Sinosteel Midwest Corporation to tackle the complex environmental and biodiversity issues associated with post-mining restoration of a Threatened Ecological Community in a banded iron formation (BIF) landform. SMC’s Koolanooka mine was West Australia’s first iron ore mine when operations commenced in 1965. The mine site is now mostly rehabilitated and is part of a research project to studying the most effective ways to return mined areas to their original state. Morawa shire also has plans to turn the site into a mountain bike park after SMC completes site rehabilitation.